If you find the holiday season stressful when it comes to cooking, take some time to prepare ahead. Why not work on some meals your family enjoys during the holidays now to make those upcoming hectic days easier? Freezer meals are an ideal way to save time in your daily life, but it is especially beneficial when it comes to holiday preparation. The following are some ways that you can prepare now so that you will be ahead of the game come December. If you are going to make homemade breads and rolls for your holiday meal, prepare the dough in advance. Simply follow the recipe for your favorite bread, form it into a loaf or rolls, and place it in the freezer. Be sure to cover it well with foil. When you are ready to bake, simply remove the dough from the freezer and allow it to thaw and rise for about an hour. You can then bake it according to your recipe. Homemade macaroni and cheese is a staple seen on many dinner tables during the holidays. Any recipe works well for the freezer. 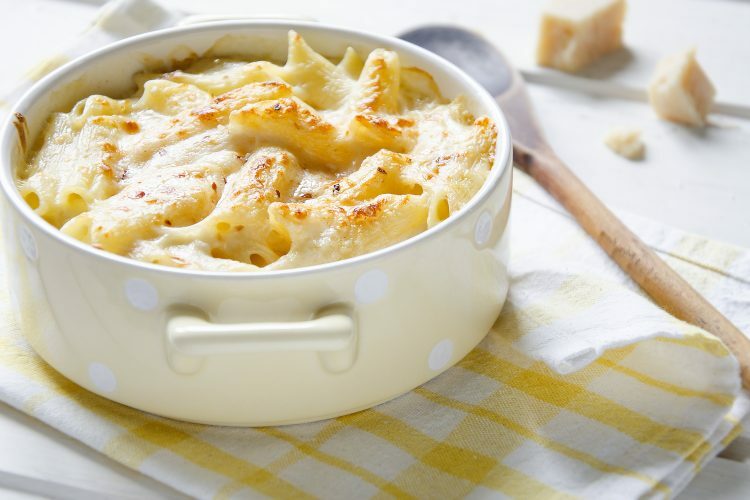 Combine the ingredients of your favorite mac and cheese recipe and place the mixture into a disposable casserole pan. Do not bake the macaroni and cheese before placing it into the freezer. The night before you plan to eat it, take the pan from the freezer and transfer it to the refrigerator to thaw overnight. The next day, place it in the oven and bake according to your recipe. Pies are synonymous with the holiday season. If you have a favorite homemade pie dough recipe, make it ahead of time and freeze it. Instead of rolling the pie dough, form it into a flat disk and place it in a freezer bag. (Flattened dough will stack more easily in the freezer.) When you are ready to bake your pies, allow the dough to thaw completely then roll it out and place it in the pie pan. Casseroles frozen ahead of time are a great way to save hours as the busy holiday season approaches. You can prepare and freeze almost any casserole. Simply prepare your casserole, skipping the last step of cooking it. Take the casserole out the night before so it can thaw, then cook to recipe specifications. Some festive and tasty dishes to prepare for the freezer include sweet potato casserole, cornbread dressing, eggplant casserole, and even green bean casserole. If you are going to freeze your green bean casserole, be sure to wait on the French fried onions—put them on just before you put the dish in the oven so they remain crisp and crunchy. Getting your kitchen ready for the holidays does not have to be stressful. Stock up on disposable casserole pans, aluminum foil, and freezer bags. Also, be sure to label everything so that you can grab exactly what you need as quickly as possible. For more tips and tricks on getting ready for the holidays, visit the iRazoo blog.